Her passion for Stress Management and Wellbeing began when she researched stress for her thesis at University and began to develop training programmes on this and related topics. Although her formal training is in western psychological and organisational models, she uses a unique approach combining eastern wisdom and concepts into her programmes. She worked as a consultant and trainer for top consultancies in the UK and in 2005 set up and became director of AUM Consultancy. At Aum Consultancy, she and her team of twenty associates are passionate about making a positive difference to individuals and organisations. 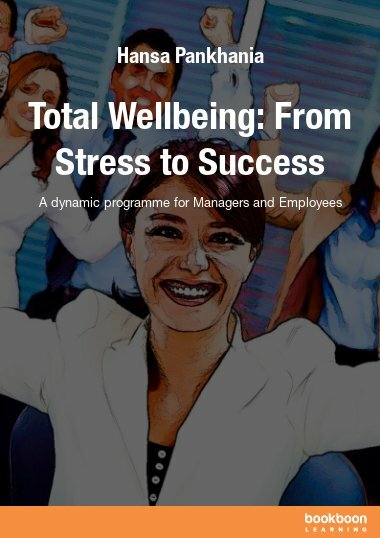 They are dedicated to enabling people, employees and organisations to overcome stress-related challenges and reach their peak potential using simple and practical approaches. In this book Hansa draws on her extensive experience of working with individuals and private, public and voluntary sectors. The stories are inspired from her day-to-day work and contain powerful messages and coping strategies on five different areas: stress management, resilience building, anger management counselling, mediation and change management. Please visit www.aumconsultancy.co.uk or call us on +44 121 6049821 (07888 747438) and find out how we can support you too.